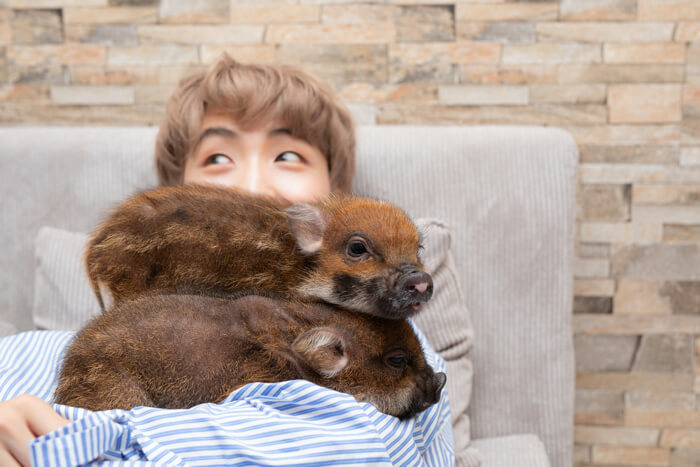 P→★ of Japanese pop dance and vocal group TEMPURA KIDZ loves animals, and this is his featured series in which he visits animal cafes around Tokyo. For diary entry No. 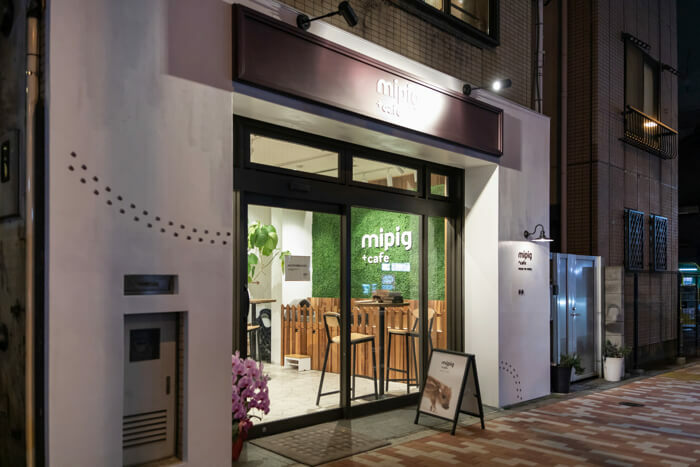 5, our P→★ heads to mipig cafe, Japan’s first ever micro pig cafe that opened in Meguro just last month. Micro pigs are a super small type of pig bred in the UK through selective breeding. They are smaller than miniature pigs. The concept of the cafe is “A Backwoods For Micro Pigs.” The pigs are given a huge space to live and play around in. As soon as you enter the cafe they are there to greet you. The building is four storeys high. Each floor has been made into a house for the micro pigs. The initial entry payment is ¥800 for 30 minutes and an extra ¥500 for every 30 minute extension. If you want a drink the prices start from ¥600. The cafe is very new and so is very popular right now, so if you’re looking to visit we recommend making a reservation in advance. It’s possible to get extensions on the day but you won’t be able to if lots of reservations have been made. The pigs are very friendly with people. 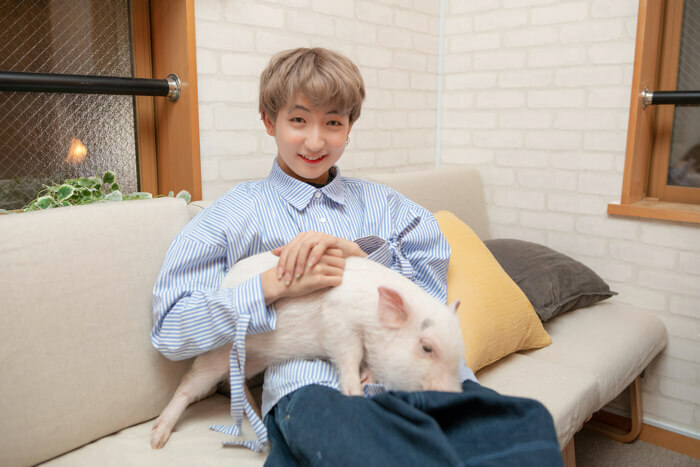 As soon as P→★ entered the room the pigs came right up to him. They climbed straight onto his lap. They stayed in P→★’s arms the entire time without moving. Perhaps it’s because they feel safe and relaxed when embraced. P→★ was happy with it too: “I feel so peaceful♡. I want to stay here forever!” he announced. Micro pigs aren’t their own species, they are mix of different species, so even if the piglets are born at the same, their size and colour will be completely different. 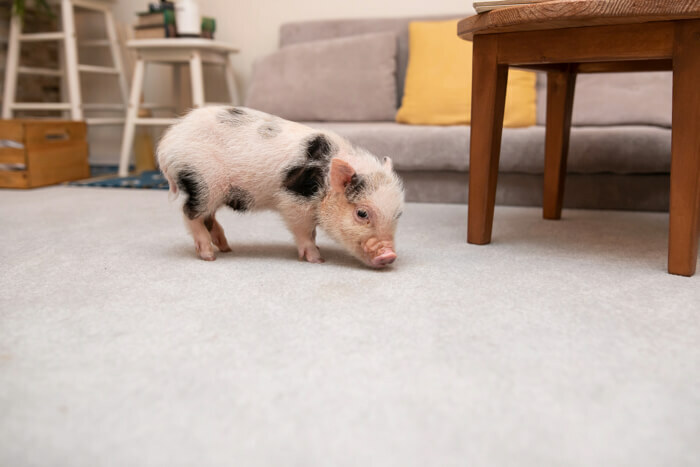 The four pigs in the photos above are all 4-month-old siblings. Currently there are 10 micro pigs at the cafe. Pigs are tidy and very intelligent animals, so with enough practice they can be trained like dogs. There are pigs in the mipig cafe that can turn around and sit on command. Since the pigs are so friendly with humans, one meeting is enough to have you captive and want to stay with them. They will stay close to you and not move so there’s plenty of opportunities for photos! 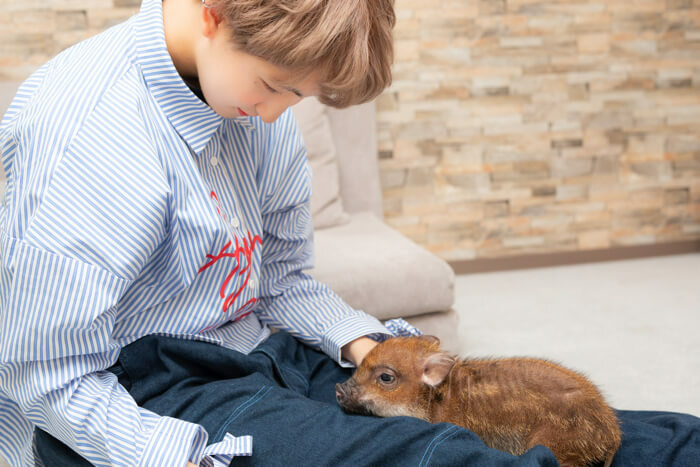 It’s common in the US and UK for people to have pet pigs, but in Japan they’re still mostly regarded as domestic animals. 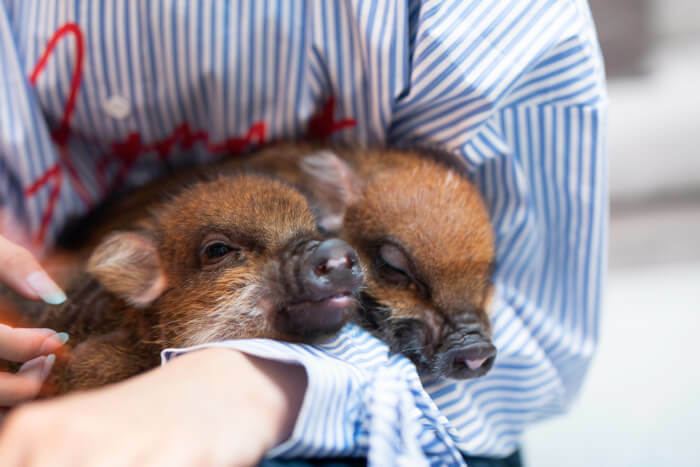 mipig raises their micro pigs in a way like cats and dogs are in Japan. They are also in contact with farms in the UK and sell micro pigs too. 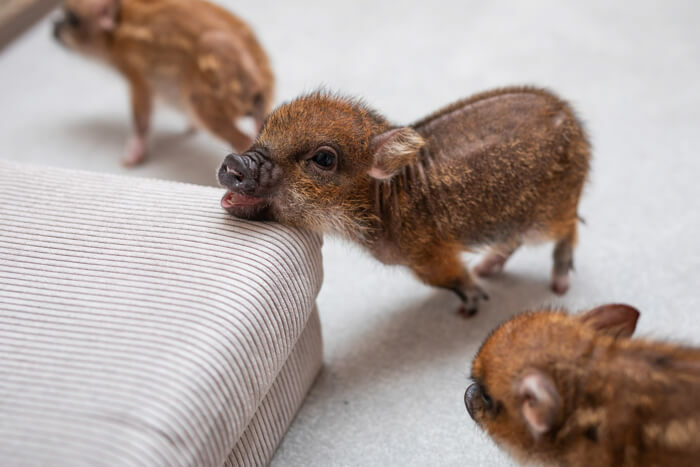 Although they are called micro pigs they can weigh up to 40kg when fully grown. 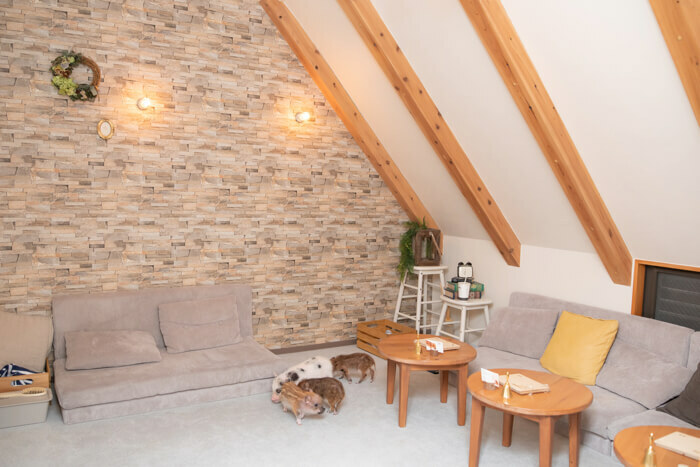 There is a floor in the cafe where you can see a grown up micro pig as shown in P→★’s photo above. Perhaps you can add a new member to your family too. But since the pigs are popular right now it could take over a year for you to receive one. How did you find the mipig cafe, P→★? 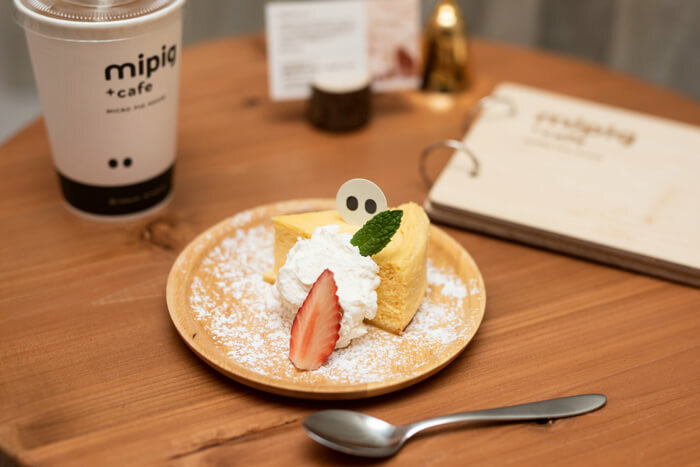 If you’re in or planning a trip to Tokyo then be sure to get your reservations in for the newly-opened mipig cafe in Meguro ASAP!